Williamsburg. In the following pages please find our application for this year. Included is a description of the project for kitchen renovations, an estimate and the plans that have been drawn up. Thank you very much for the amazing work that you do in the community by giving to different organizations. Your care for the community is evident and it makes a difference. Thank you for considering our project and if you have any questions you can contact me at principal@tcswilliamsburg.ca or 613-535-2687. Our project is to renovate the kitchen in the school. Our school building was built 50 years ago and in that time many requirements have changed. Our school kitchen has served us well over the years and is now in need of an update. This update would include a 3 sink system and increased counter space. Once a month we serve hot lunch to the students. The students in Grade 8 take a leadership role in this as they prepare the meal and serve it to the students. An updated kitchen would allow for greater participation by the students. It would also enable us to better teach the students safe food handling practices. Each year 70 or more students are educated at Timothy Christian School. They grow in knowledge, as they learn math and science and music. They grow in faith, as they study the Bible and how much God loves them. And they grow as a community, as they learn to care for each other and the community around them. Once a month, when we have hot lunch, the students eat lunch in cross-grade-groups. Students from Kindergarten to Grade 8 join to share a meal together. It is a chance for the students to really get to know each other and learn what it means to be a part of a caring community. Updating and renovating the school kitchen would benefit each and every student at Timothy Christian School, students that are members of the South Dundas County. What do you know about this organization that you wish everyone knew? Timothy Christian School has been a part of the South Dundas community for over 50 years. We provide quality elementary education the combines faith and learning. 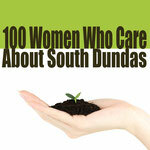 Our graduates have gone on to run businesses in the community and have contributed positively to making South Dundas be a community that cares. Estimated For: Timothy Christian School Williamsburg, Ontario. Build kitchen cabinets as per the drawings provided. The Kitchen will include a new countertop, slab style doors, regular drawer slides, and eropean style hinges. The plumbing for the drains and the supply lines are included in the estimate. THANK YOU FOR CONSIDERING US FOR YOUR PROJECT!